The Carolina Panthers look to go 3-0 as they host the New Orleans Saints in a meaningful division matchup. Despite the 2-0 record, the Panthers have completely relied on a rebuilt defense, as their offense has struggled to put up points. The Saints are already in desperation mode after an 0-2 start and face a stiff road test. The game will be tough to predict with the teams' strengths and weaknesses matching up against one another, but look for the Panthers to prevail. Drew Brees looked much more like himself in a shootout with the Patriots. He topped 350 yards with two touchdowns as the Saints tried to keep pace. 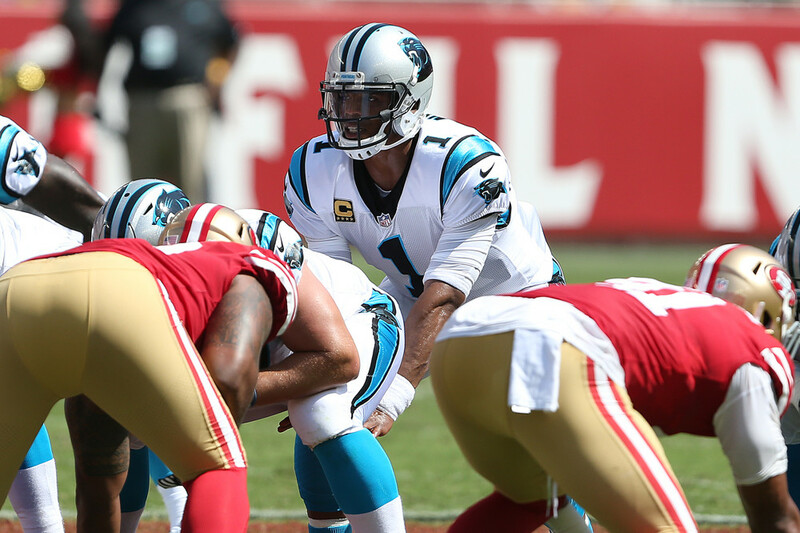 However, the Panthers revived defense presents a much tougher test, especially in Charlotte. Brees figures to be a high floor, low upside QB1 for week three. Michael Thomas had a solid but unspectacular day against the Patroits with five catches on 10 targets for 89 yards. The Patriots shifted double coverage and safety help his way most of the day, and the Panthers figure to do the same. However, his high volume of targets should keep him solidly as a WR2 against a tough matchup. Drew Brees traditionally loves to spread the ball around depending on coverages, and with Michael Thomas seeing double coverage, Brandon Coleman was the main beneficiary. His usefulness will likely disappear when Willie Snead returns in week four, but for now Coleman represents a high ceiling, low floor flex option. Another garbage touchdown has Coby Fleener ranking as one of the most productive tight ends through the first two weeks of the season. Fleener has been very involved in the offense during the first two weeks with 10 total targets and offers an acceptable though uninspiring TE1 option for week three. Cam Newton has looked erratic over the first two weeks as he continues to recalibrate after his return from shoulder surgery. However, a good cure for low fantasy point totals is the Saints' defense. If Newton can clean up some of his poor throws and reads he should be a solid QB1 option this week, even with the loss of Greg Olsen. If he can't, fantasy owners will likely be in for a long season. Christian McCaffrey has found tough sledding between the tackles so far in his NFL career but has been heavily involved in the passing game. He also should have had a touchdown in the last game but Cam Newton missed him wide open in the flat. Look for him to have a big day against a Saints defense that got shredded by the pass catching running backs of New England. The focal point of the passing game last week, Kelvin Benjamin should see a bump in his already large share of the targets with Greg Olsen out. Against a poor Saints pass defense, Benjamin should be considered a fringe WR1 and a quality fantasy play. Christian McCaffrey gets all the hype, but Jonathan Stewart continues to be a very active part of the Panthers run game. He has 33 carries over the first two games and commands the goal line carries. His upside is limited due to his shared role but Stewart should be a flex start against the Saints. Devin Funchess should be the biggest beneficiary in Greg Olsen's injury and saw seven targets last week as a result. He is second fiddle to Kelvin Benjamin but could provide flex worthy numbers moving forward with the additional volume. He is worth rostering and possibly starting against the hapless Saints defense.